Well it’s the end of the year and everyone is thinking about all the wonderful resolutions they intend on keeping for 2014, as well as reflecting upon the year that has just passed. We’ve had a fairly quiet year as we’ve been focusing our efforts on album two, as well as our recent line-up change. 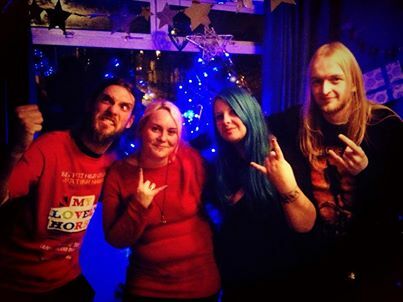 We have lot’s of plans for 2014 both studio based and hitting the road where we will putting our gigging hats back on! So we would like to say a huge thank you to all of our fans that have supported us, Merry Christmas and Happy New Year! And for some light reading before the year really does come to a close, check out The Midland’s Rocks best of 2013 gigs, where we were voted “Best Live Midlands Band” by the wonderful Tony Gaskin.